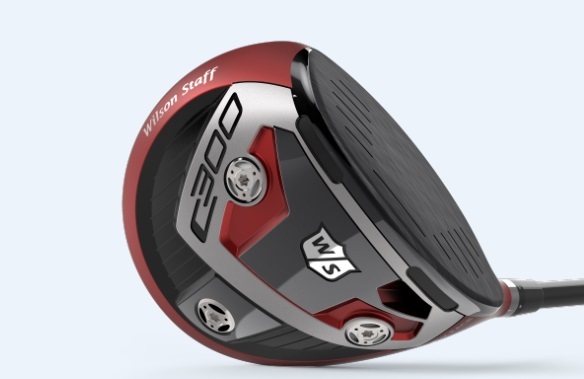 Wilson Staff C300 driver review: what do we make of Wilson's driver for mid handicappers? The “C” is C300 stands for Crossover, regarding the type of player this driver is aimed at - that being mid handicappers, who have decent swing speeds. Love the deep red matte finish - stunning against the black face. We do find the Power Holes on the crown a little awkward. They didn’t seem quite as shocking on the irons, but they seem more in your face on the big stick. Wilson have done a good job of blending them in as best they can with the black on dark red job, but some golfers will still have a problem. 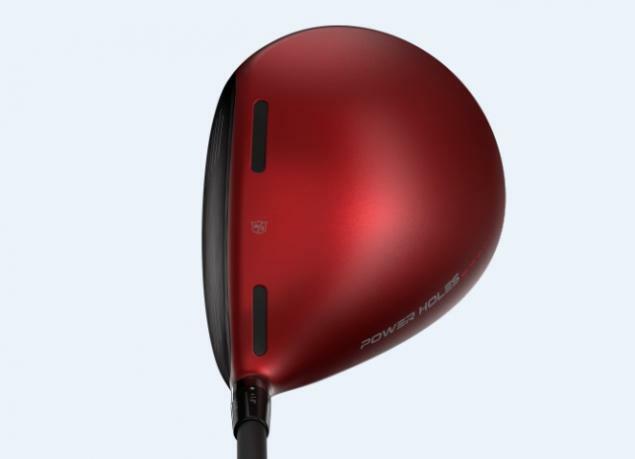 On the harder side of feel for a driver, but it's an appealing provides a hearty thwack. The sound is average, perhaps on the tinny side. Like the irons, the Wilson Staff C300 driver is naturally low spinning. There are three interchangeable weights - two white six gram weights and a black two gram weight. Clearly with the two heavier weights in the front you will get the lowest spin, while it also offers fade and draw bias. With the heavy weights in the front we found it span much too low even though this is often the set-up we use in other drivers, while in the fade position we got decent results. We did have to move the loft up around one degree to our usual setting, and then we got in the 2-2,500 spin rate bracket we were looking for. Changing the loft is simple, and you do not need to take the head completely off like other drivers, which is a small bonus. Once we had fallen upon the ideal setting, we found some decent ball speeds and distance. The C300 is not troubling the top of the leaderboard in the yardage market, but rather sat somewhere in the middle of the pack. We did enjoy the decent forgiveness levels on offer thanks to the two Power Holes on the crown and two on the sole. The idea is that these flex at impact to offer help on off centre hits by increasing ball speeds, and they seemed to work well. At £349 this is in the middle bracket regarding cost for drivers in 2018, and you’re getting some decent performance for your money. In the distance stakes, the C300 is around middle of the pack, but it does offer more than average forgiveness. It is naturally low spinning, which will not suit all players, and the Power Holes may offend the sensibilities of some. There is a lot of adjustability on offer, so make sure you play around with the settings, or even better get fit. Head to the Wilson website for more.